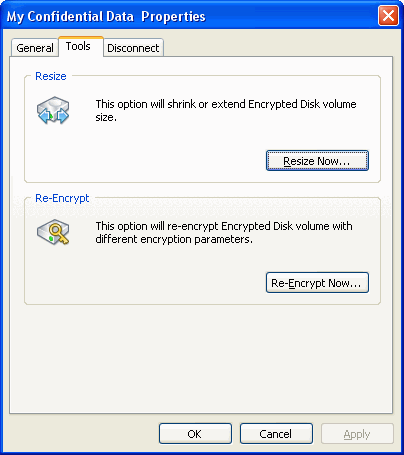 If the disk is not connected, the Encrypted Disk Password dialog box will appear. Enter the disk password and click the OK button. 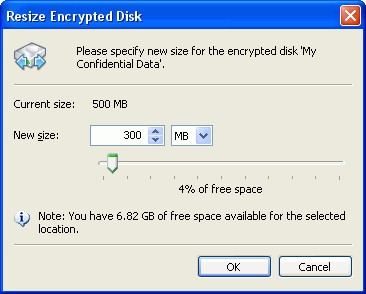 * R-Crypto will start changing the disk size showing its progress .